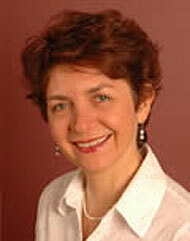 Leonie has been in General Practice in Sydney since 1987, and at Paddington Medical Centre since 2011. She has a broad experience across all areas of general practice, and enjoys using an holistic approach to your health, including dietary and exercise advice, and exploring the interactions of your mental, emotional and physical states. Leonie underwent extensive training in counselling and psychotherapy, and has considerable experience in working with relationship dynamics and how they affect us as a whole. After graduating in Medicine from Queensland University and doing four years’ training at Royal Brisbane Hospital, Leonie worked in London for five years, and did the Membership Examination of the UK GP College. She also did the Diploma of the Obstetrics and Gynaecology College, and attends seminars regularly on women’s health, as well as participating in a broad range of ongoing medical educational activities. Leonie does not currently do antenatal shared care. Leonie enjoys seeing patients of all ages, and helping with your overall health and wellbeing lifelong.